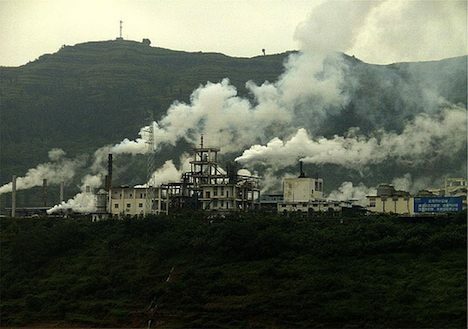 China’s New Carbon Tax: Legitimate Policy Or Political Ploy? China plans to implement a carbon tax to reduce its carbon emissions as the economy grows, revealed the country’s lead climate negotiator on Wednesday. Su Wei announced that China is currently analyzing the impacts a carbon tax would have on development, and whether it would overlap with the country’s future emissions trading scheme. Currently the rapidly developing Asian power is the largest emitter of carbon in the world. But it hopes to change this image in the coming years with considerable plans to decarbonize its economy. Already the country has announced big plans for renewable energy, with 15 GW of solar capacity and 100 GW of wind capacity planned for 2015. China’s Cleantech venture capital investments were up 125% in 2011, suggesting the country is on track for a powerful green economy in the coming years. A proposal submitted to the financial ministry revealed that the carbon tax would impose a cost of 10 yuan ($1.59) per ton of carbon within the next three years. The target would be large users of oil, coal, and natural gas. And while the proposed carbon tax puts only a small price on emissions, it is the first stage in making its biggest polluters integrate a cost of pollution into their business models. In comparison, Australia’s newly introduced carbon tax will be set at Aus$23 ($23.70) per ton of carbon. However, some commentators have exhibited scepticism regarding China’s true intentions behind its carbon tax announcement. John Lee over at the Wall Street Journal suggests that China is merely using the carbon tax as a smokescreen to improve its public image following its poor showing at the Copenhagen climate talks. He argues that China still holds economic development much higher on its list than carbon reductions. He suggests that by introducing a small carbon tax, the country will be able to get the international community off its back for having 80% of its energy coming from oil and coal in 2030. But what he fails to mention are China’s big investments in renewable energy (mentioned above) and its research and implementation of CCS for its coal plants. CCS could reduce emission generated from coal by 80%, thus making the energy far cleaner than Lee suggests. One of the central assumptions of Lee’s argument is that if China were truly reducing carbon emissions, it would be jeopardizing its economic growth. Therefore, it would be impossible for China to want to actually reduce carbon emissions. While it’s true that China seeks economic growth (after all, it is trying to lift much of its population out of poverty), it is doing so along a robust green energy program. Just because China is attempting to reduce its carbon emissions does not mean it is abandoning efforts to improve its economy. Quite the contrary, as a matter of fact. Renewable energy and greentech are emerging as key components of future growth, and could in fact improve China’s economy in the years to come. Already, China’s dominance in solar panel manufacturing has put other solar manufacturers out of business, including Solyndra in the U.S.
What are your thoughts on China’s carbon tax? Is there some substance behind it, or is it merely a smokescreen to get the international community off its back?